• Trained professionals keep up to date on the latest treatments. • We work with these materials every day, so we know the proper percentages and mixtures to use. • By diagnosing and treating problems right the first time, we don’t use extra chemicals. 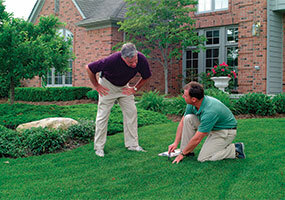 So, the environmentally smart choice, while keeping your lawn and landscape looking its best, is to trust your local landscape professional. 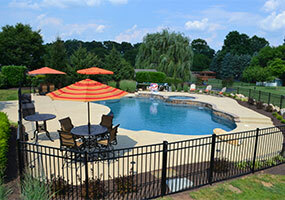 A swimming pool can turn an underused backyard into a hot spot of social and recreational activity. 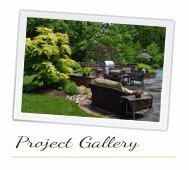 In addition to being a great place to cool off and relax, a swimming pool can be a central part of your landscaping. 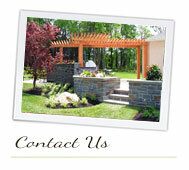 Rocks can be used to connect your existing landscaping to the pool. One of the more dramatic additions you can add is a cascading waterfall. If you prefer a more elegant design, sharp detail and fountain effects can be used to turn your pool into a moving, flowing work of art. 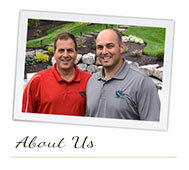 Your pool can be much more than a concrete hole filled with water that is used to cool off. 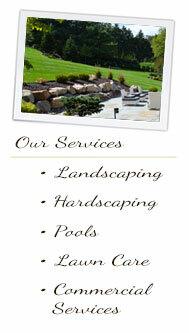 It is the most prominent feature of your landscape, so let us make the most of it!